Bids were received for building a new building on May 6, 1912. 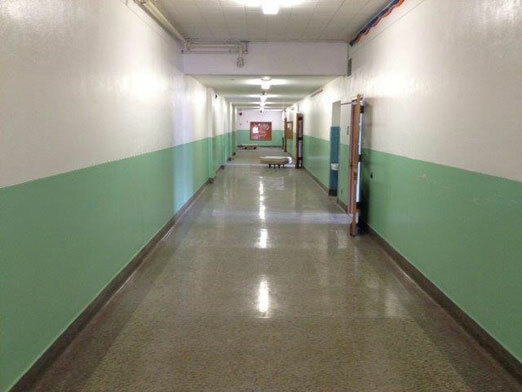 The new North Side School was built for $6,700 plus $130 for plumbing and $300 for heating. Classes began in the new structure in December 1913. Also a frame structure, this building was destroyed by fire on April 2, 1926. Legend has it that a janitor fell asleep and his newspaper caught fire. Children were transported to Oak Hill School. 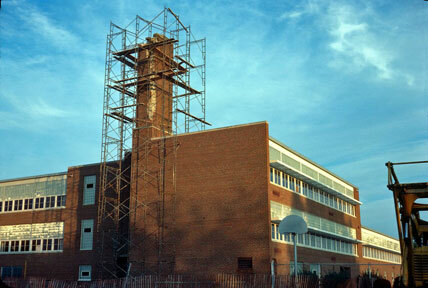 A bond issue for the new building in the amount of $20,000 was voted in on June 15, 1926. 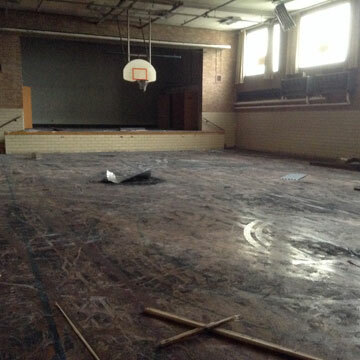 Students attended Oak Hill School while it was being built. 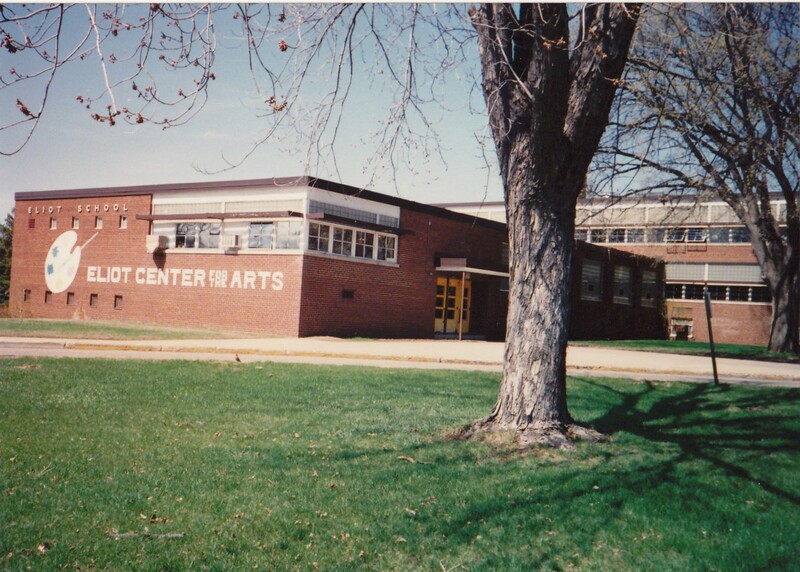 The new school was proposed to be renamed Highcroft, but on petition of residents, it was changed to Eliot. Her family lore has it that Lillian McBride Ryan was instrumental in helping build the new school and in creating its new name, but we do not know the origin of the name Eliot. Keith Meland speculates that it was named after Charles W. Eliot (1834-1926), who was President of Harvard University from 1869 to 1909. There are many Eliot Schools in the US named after him, and our school was built in the year of his death. A new janitor, Joe Koelfgen, would serve the school from 1932 to 1954. 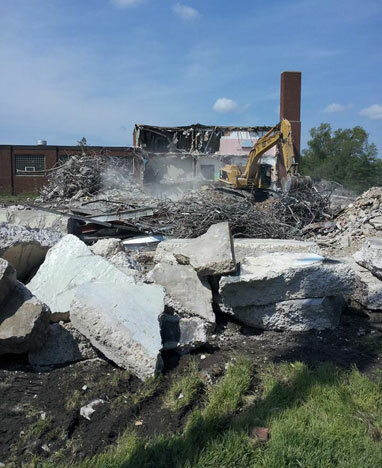 In the beginning, the school had only an auditorium in the basement, two classrooms on the first floor (the ones on the east side near the front door), and two unfinished classrooms upstairs. 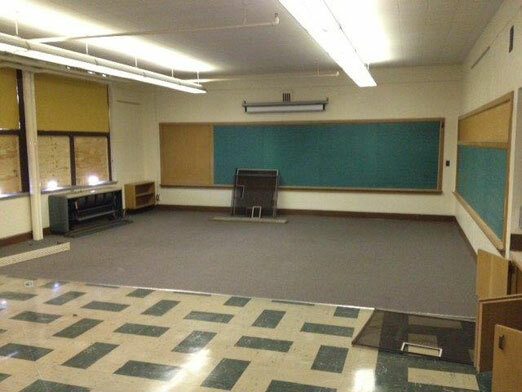 Grades 1-3 shared one room, and grades 4-6 were in the other. The picture below is from 1926. A contract to finish the two upper rooms was let on June 3, 1941. Mary Towey became Principal in 1946 (see below). Contracts for a remodeling of the old structure and construction of 20 more classrooms were let on November 30, 1950, to accommodate the swelling numbers of families moving to the North Side. The architect of the project was John Belair, architect from Haxby, Bissell, and Belair. While the school was under construction, students were in temporary quarters in the west wing of the Central building from September 1950 to March 1952. 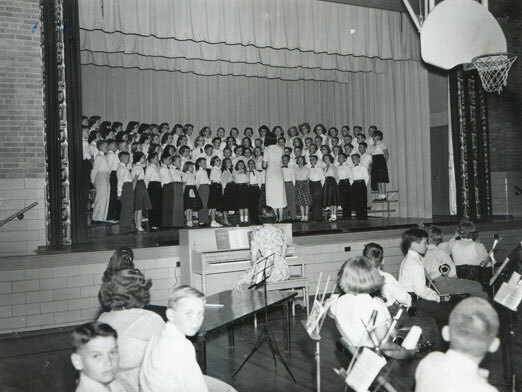 The $825,000 addition was opened on March 4, 1952, with entertainment by the High School Glee Club under the direction of Gordon Griebenow. 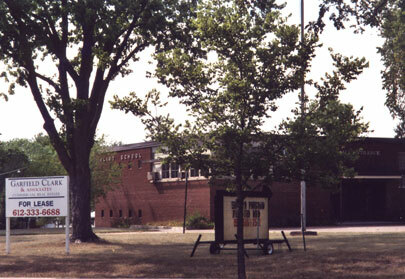 The school now contained 24 classrooms, a large gymnasium/auditorium, storage and office space, cafeteria and kitchen, and a small meeting room where the old auditorium had been. 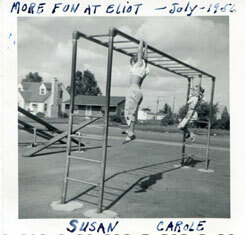 Susan Shallman Anderson has generously shared some of her photos that were taken at Eliot in 1956. 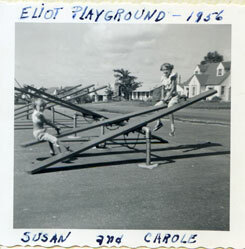 First we see the playground equipment, which was typical of playgrounds at the other schools around the city. These are Monkey Bars, the source of many broken bones but fun times. knee on the asphalt was the result. A very tall slide, hot on the legs in summer. 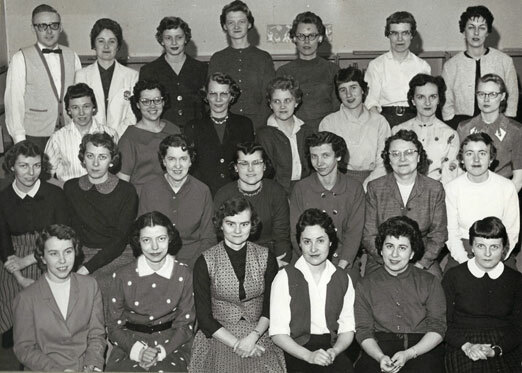 The PTA in the fifties was incredibly active, and each month there was a program of some sort. Once a year the dads put on a show – here are some photos of one of those epic productions. 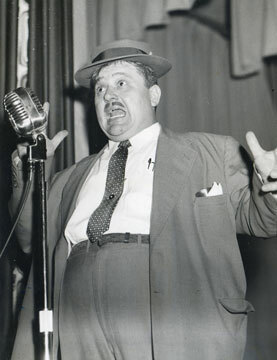 Park’s version of Jackie Gleason? The November 18, 1958, meeting was about school safety, and featured a panel that included Police Officer Fred Stinson and Virgil Neitzel of the Park Bus Company. 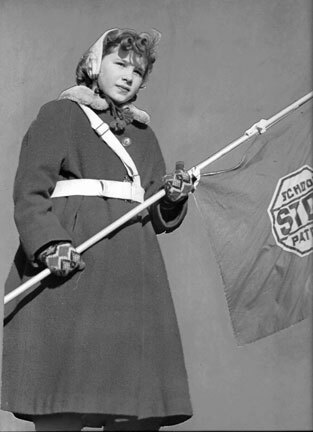 Who is this young school patrol girl? 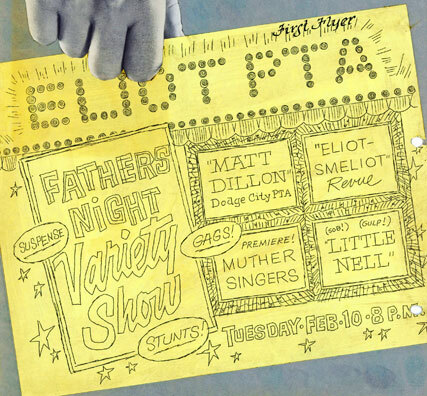 February 10, 1959, was the annual Fathers Night Variety Show; the flier below is proof that the nickname “Eliot Smeliot” goes back a long way! On April 18, 1959, the school held a Rocket Festival, although it appeared to be more of a standard carnival, with Bingo, a cake walk a country store, movies, games, prizes, and bowling. Children voted on Punch and Judy as King and Queen at 25 cents per vote. One set of winners was chosen from K-3, and another set from grades 4-6. Winners got bikes, a ride on a fire truck, and a TV appearance on the Arle Haeberle TV show. On April 30, 1961, the school had a Popeye Carnival, attended by Clancy the Cop, who showed Popeye cartoons. An Admiral and His Lady were chosen from grades K-3 and 4-6. By 1977 the boomers had passed through and the school was closed. 1,000 people attended a “Goodbye Ice Cream Social” on June 2. A memorabilia display of Eliot’s 51 years was featured. Children were reassigned to Peter Hobart and Cedar Manor. 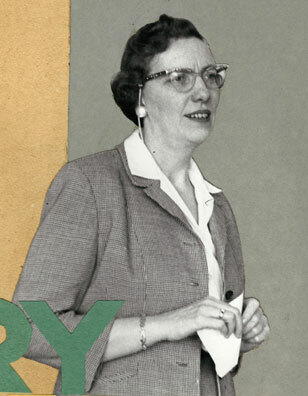 The longtime librarian at Eliot was Miss Shirley Stone. 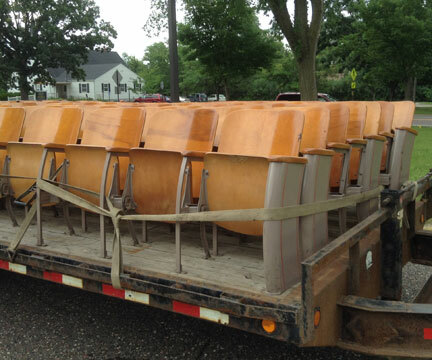 When the school closed, the library books were sold to Handke School in Elk River, Minnesota. 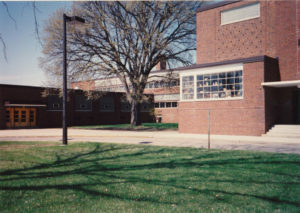 When Handke closed, the books were sold to Westwood Elementary in Zimmerman, Minnesota. We were contacted by the librarian in Zimmerman, who told us that one of the books was signed by famous author Lloyd Alexander. Miss Stone clarified that Alexander did not visit the school but signed the book when Miss Stone and a colleague attended a seminar at the U of M where Alexander was speaking. 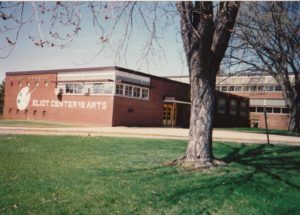 In November 1977 the building opened as a fine arts center. 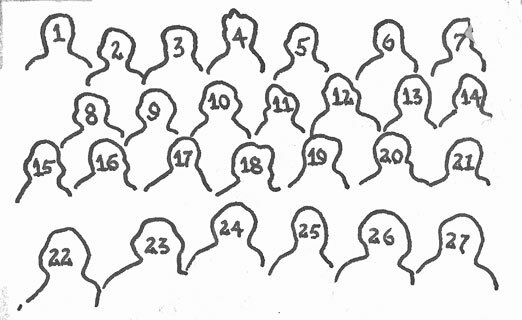 In 1981 a suspiciously high incidence of breast cancer seemed to be present in women who worked, volunteered, or were students at the Eliot building. Chemicals in the water, left over from years of industrial pollution, were suspect. The State Department of Health investigated, but concluded that there was nothing in the building or in the water that could explain the trend. In 1982 superintendent Mike Hickey sent a memo to the concerned women that said that no more action on the part of the school district was warranted, stating that diseases tend to occur in clusters. 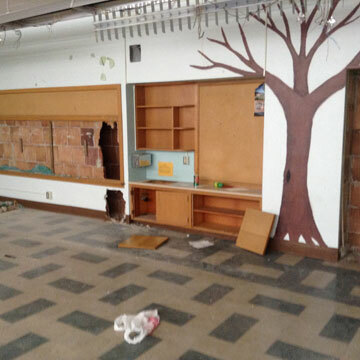 Eliot was shuttered and its programs were moved to other buildings. 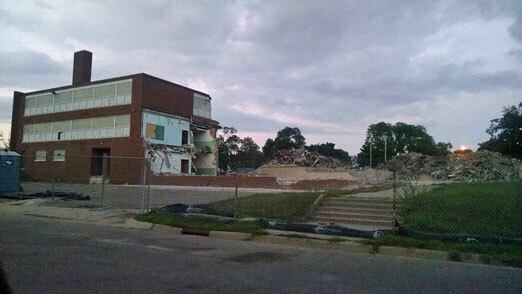 Below are some photos of the school taken by Jim McNulty. 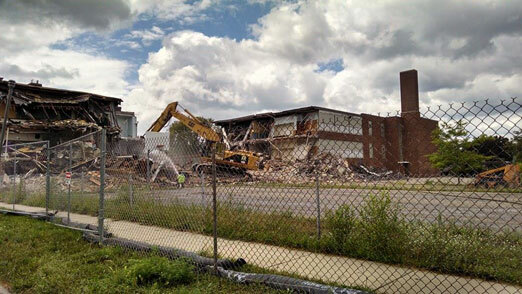 Here are some photos of the demolition, as posted on Facebook. Thanks to all for sharing! An article by Seth Rowe of the Sun-Sailor is Here. 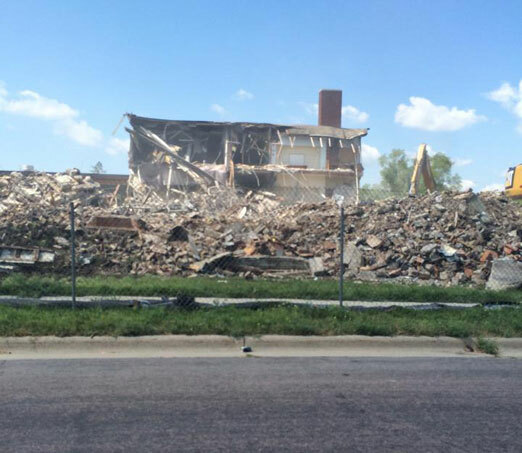 Several proposals to redevelop the site fell through – the cost of the land and demolition call for the development of multifamily housing, but the neighborhood protested. See the article in the Sun-Sailor. 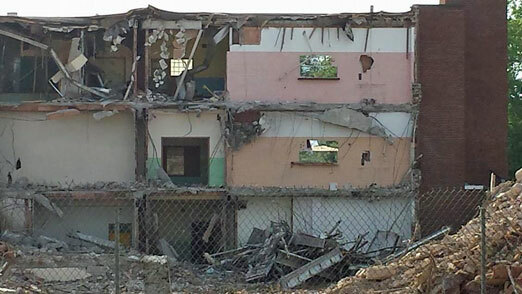 After a reversal, in December 2012 the City Council decided to go forward with a plan to built apartment buildings and single-family houses on the site. Developer Dan Hunt plans to build the 138-unit Eliot Park Apartments in two buildings in addition to three single-family homes. The Mothers’ Club concerned itself with a variety of needs, the most important of which was providing the students with a hot lunch. It appears that they made these lunches themselves, but were continually lobbying the school board to provide such lunches and were still doing so in 1930. One interesting fundraiser was a “Hard Time Dance,” held in January 1931. A prize went to the best hard time dressed lady and man. 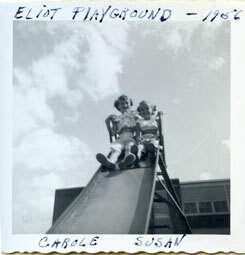 In 1932 a sand and gravel company provided free sand for the playground. In 1933 they “financed and sponsored a boy scout movement” with the Ladies’ Aid. In 1934 they celebrated Founder’s Day with a skit, songs, and a cake, but founder of what? That year they heard Mr. Roy Olson from the St. Cloud Reformatory speak on the present crime wave among our boys and girls. 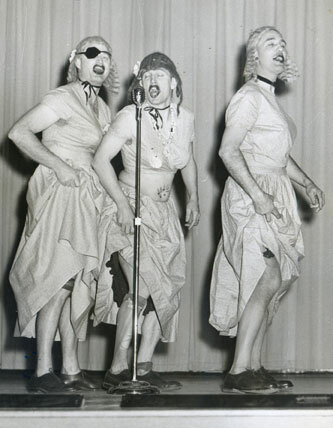 The Eliot Mother Singers were formed in about 1955, led by Betty Meister. They put on elaborate shows with costume changes and performed for PTAs around the city. 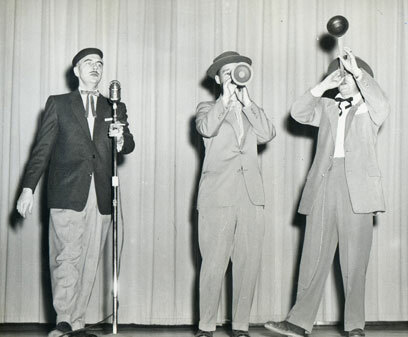 In October 1958 , twelve members of the group were invited to perform at the State PTA convention in Rochester, Minnesota, where they were joined by over 300 other Mother Singers from around the state. On April 10, 1959, they presented an epic “Music of My America” program, which featured an original composition by Betty Meister. 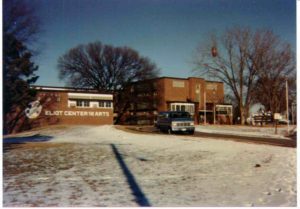 In 1977, when Eliot closed, the group formed a partnership with Methodist Hospital and became the Methodaires show choir. The all-women group performs at events and has a spring concert each April, with proceeds going to the Frauenshuh Cancer Center. Mary Rachel Towey was born in North Dakota on February 26, 1918, but her mother died when Mary was born or soon after. 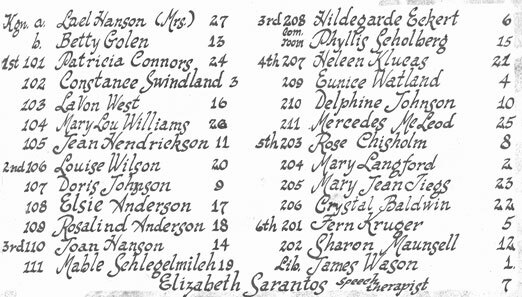 At age 1-1/2 she lived with a family on 6th Street in Langdon, ND – the census lists her as “protege.” Her father, a widower at age 28, was a doctor, and was also in Langdon, but boarding with a clergyman on 3rd Street. He eventually remarried, moved to Michigan, had more children, and worked in a sanitarium (perhaps tuberculosis?). By 1935 she was living in Minneapolis with an uncle. In 1940 she was in her third year of college. 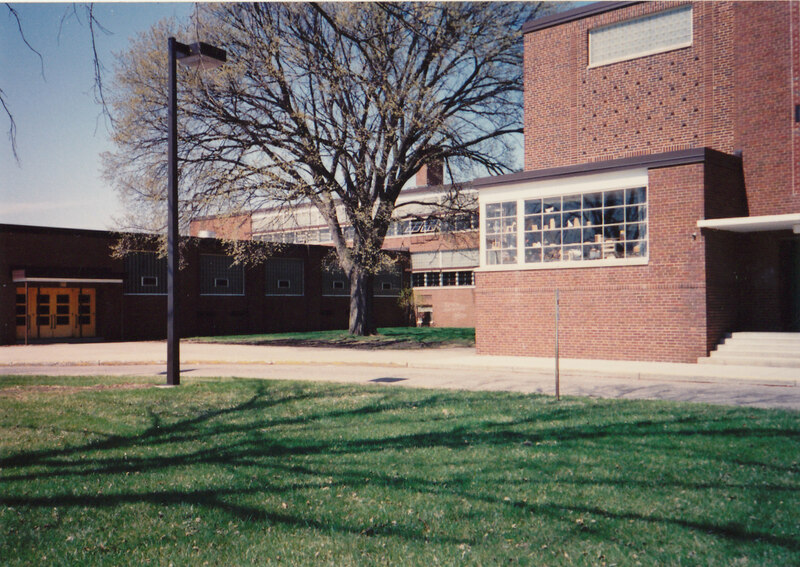 Towey probably began her teaching career at Brookside School in 1941. 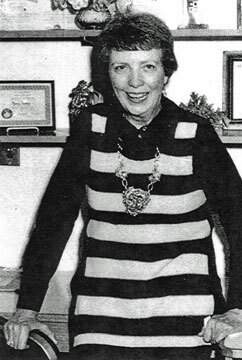 She became Principal at Eliot in 1946. In 1974 a scandal exploded, with teachers charging the school, and particularly Principal Mary Towey, of wrongdoing over a 20-year period. 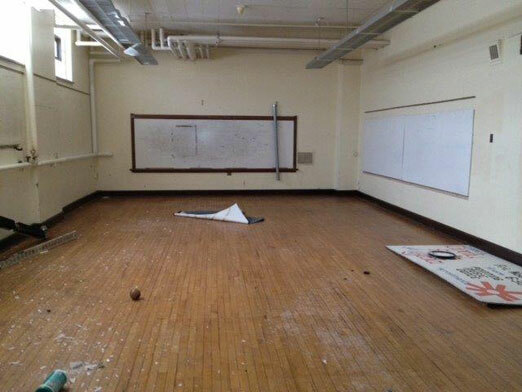 The School Board seemed reluctant to act, but some parents were so incensed that they moved out of the neighborhood. 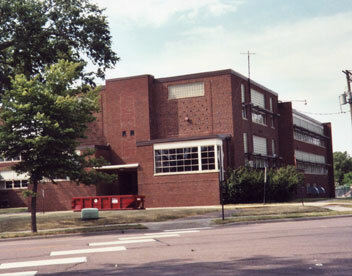 Towey was moved to Park Knoll from 1976 to 1978. Mary Towey died on March 8, 1981. She had retired as Principal of Susan Lindgren Elementary School two months before. There was no obituary per se in the St. Louis Park Sun, but columnist Karen Reeves wrote a tribute to her, saying “Most of Mary’s life revolved around school, students and parents.” She was also active at the Basilica of St. Mary in Minneapolis. The staff at Susan Lindgren began working on a hand-made quilt for her, which was delivered to her hospital room the day before she died. “She probably didn’t know it was there.” Her family decided that the quilt would be draped over one end of the casket. Thanks to a generous donation, the Historical Society has in its collection Eliot Elementary School PTA Directories from 1954 to 1967. 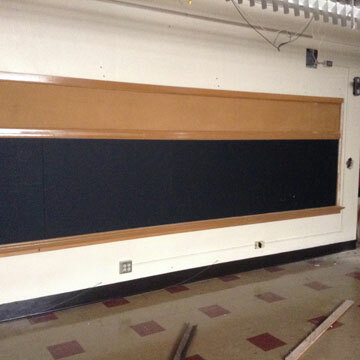 There are also several years of teacher rosters. We only have one student yearbook, from 1977. If anyone has any more to donate, we’d appreciate it! 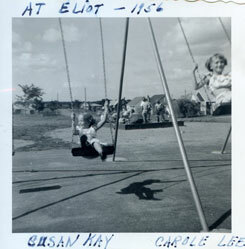 In 2014 a staff member at the Central Community Center found an Eliot PTA scrapbook from 1958-59 and donated it to the Historical Society. Since we have so few Eliot artifacts, this was an important discovery! It appears that it was the first that the PTA had put together, and it is quite elaborate. Many of the photos and information on this page come from that book.